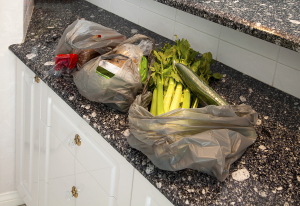 Could Grocery Delivery Services Help Your Distance Caregiving Efforts? If you live too far away from your elderly loved one to be able to be in the home with them as frequently as you would like to be it can feel as though you are not an active enough element of their care. Your parent may spend a considerable amount of time alone or you may rely heavily on the assistance of friends, family, or even a home care service provider to give your parent the care and support that they need when you are not able to be with them. This can make you feel as though your home care efforts are not enough and that you are failing in your goal to make sure your parent gets everything that they need. Fortunately today’s technology is making it possible for distance caregivers to be more actively involved in their parents’ daily lives. This can help you to feel more confident in what you do for your loved one, and have peace of mind that you are both giving them the best care that you can and empowering them to be more independent. Reduce grocery store trips. Getting out of the house to go to the grocery store can be difficult for an elderly adult who is dealing with mobility issues or other problems. This can mean that your loved one goes without the food and other products that they need in between opportunities to go to the store. Grocery delivery services can ensure that your parent gets these necessities when they need them without having to leave the home. Many services even offer an auto delivery option that automatically delivers these items to your parent’s home at specific intervals so that they always have them. Independence. Encouraging independence is an important part of supporting mental and emotional health for your aging parent. A grocery delivery service enables your parent to go on the computer and select the items that they want rather than having to rely on someone else to go to the store for them, or to accompany them and influence what they purchase. Budgeting. Grocery deliveries are a fantastic way for you to help your loved one manage their budget. Because you can order these groceries from anywhere you can access a computer, you have the option of order the items, paying for them out of your account or a joint account that you share with your parent, and then having then delivered to your parent. This helps them to make the most out of their grocery budget while still making sure that they have the basic items that they need on a regular basis. For in-home Home Care Services in Colleirville TN, please contact the caring staff at Personal Care Services MidSouth today! This entry was posted in Home Care Services Collierville TN and tagged Home Care Services Collierville TN. Bookmark the permalink.